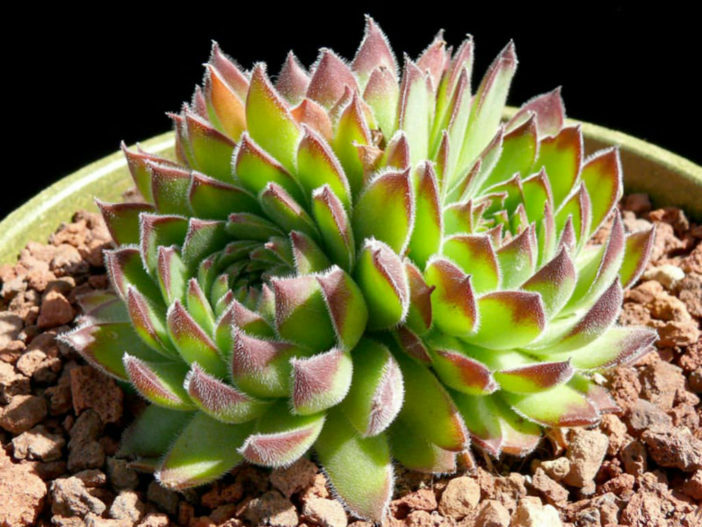 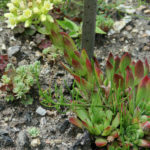 Sempervivum heuffelii is a perennial plant forming basal rosettes of succulent leaves that are ciliate along the margins. 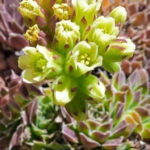 Flowering stalks are erect, succulent, up to 8 inches (20 cm) tall, bearing a cyme of up to 40 white to yellowish flowers. 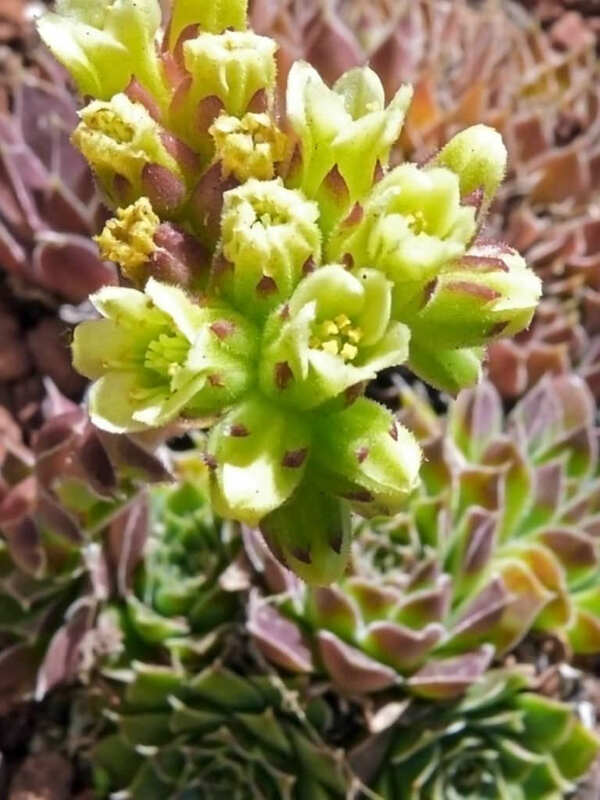 Each flower is up to 2 inches (5 cm) in diameter, with 6 to 7 fringed petals. 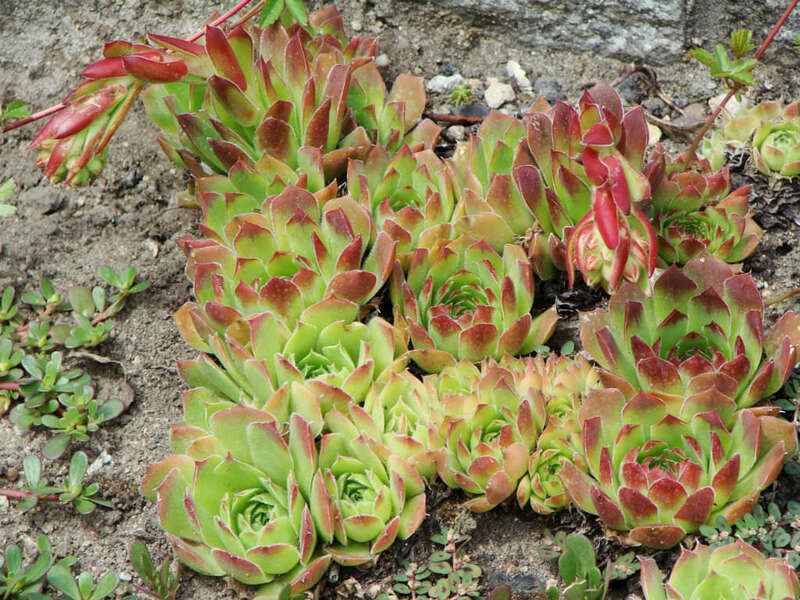 Each plant is semelparous, meaning that it flowers only once, dying after its fruits mature. 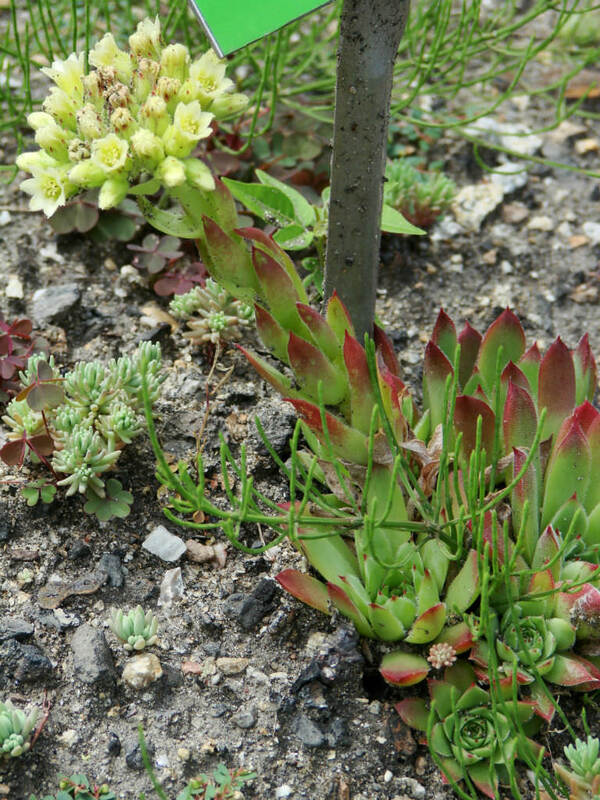 USDA hardiness zone 4a to 9b: from −30 °F (−34.4 °C) to 25 °F (−3.9 °C). 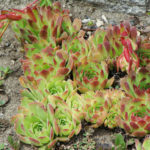 Sempervivum heuffelii is native to the Balkans and to the Carpathians in Europe, but reportedly naturalized in Wisconsin and probably in other parts of North America.